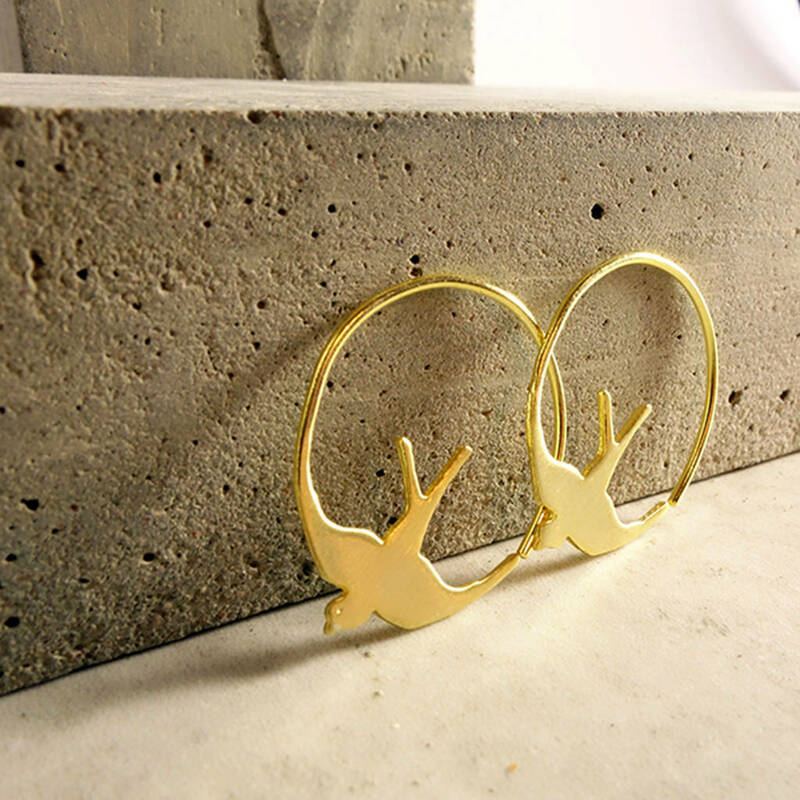 A stunning pair of gold Swallow hoop earrings. 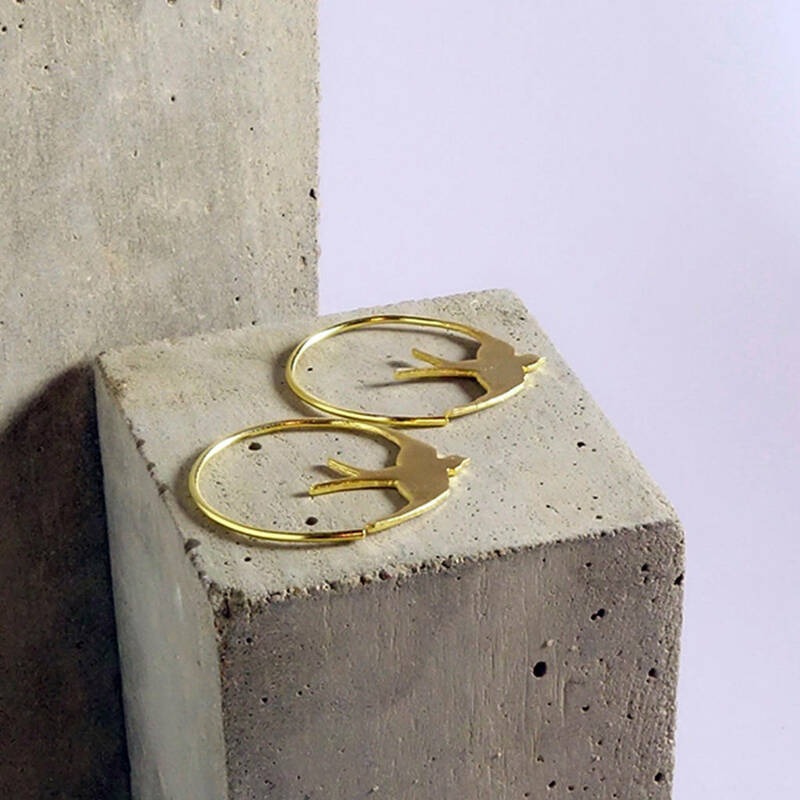 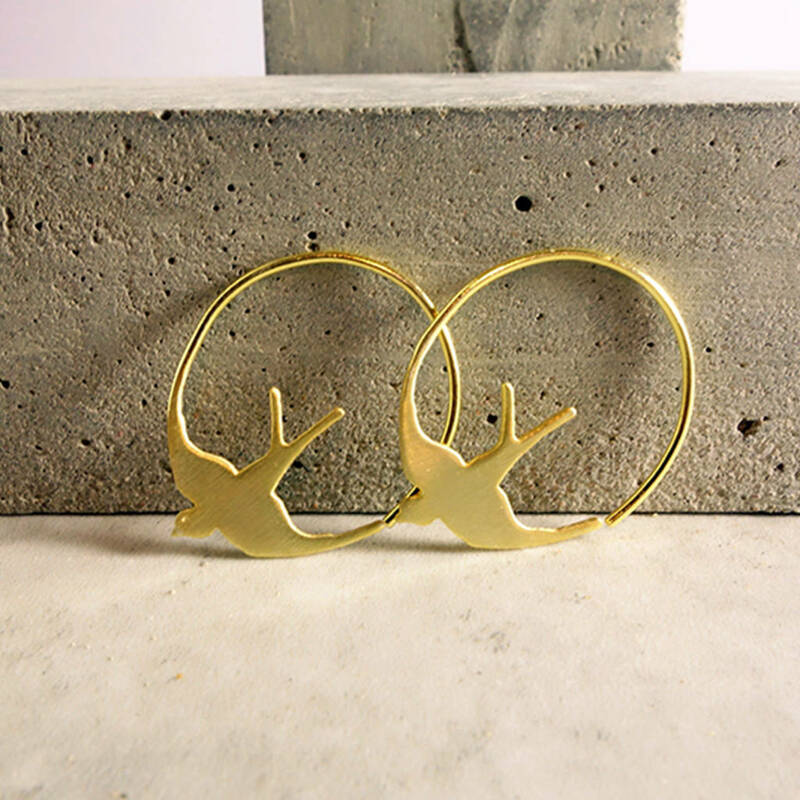 These classic gold swallow earrings would make a perfect gift for anyone who loves simple and elegant design. 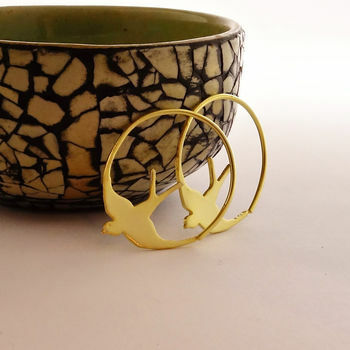 It would make a lovely Bridesmaid gift or to celebrate a 18th ,21st, 30th, 40th or 50th to name just a few, or simply a treat for yourself! All parts are handmade from sterling silver which have been gold plated. 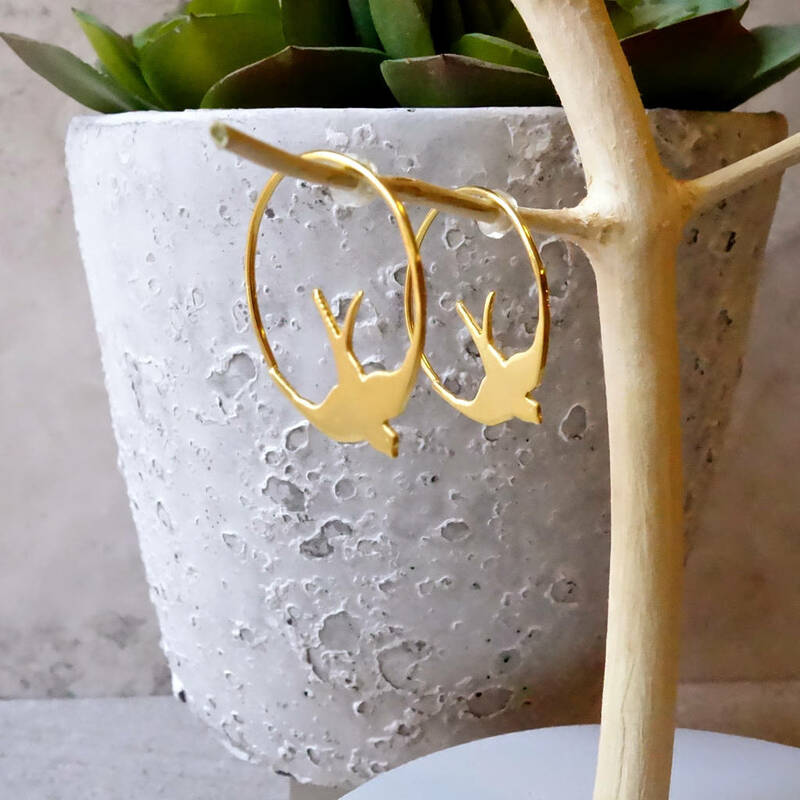 Your earrings will arrive beautifully gift wrapped in our pretty boxes and a hand written gift note can be included if requested. 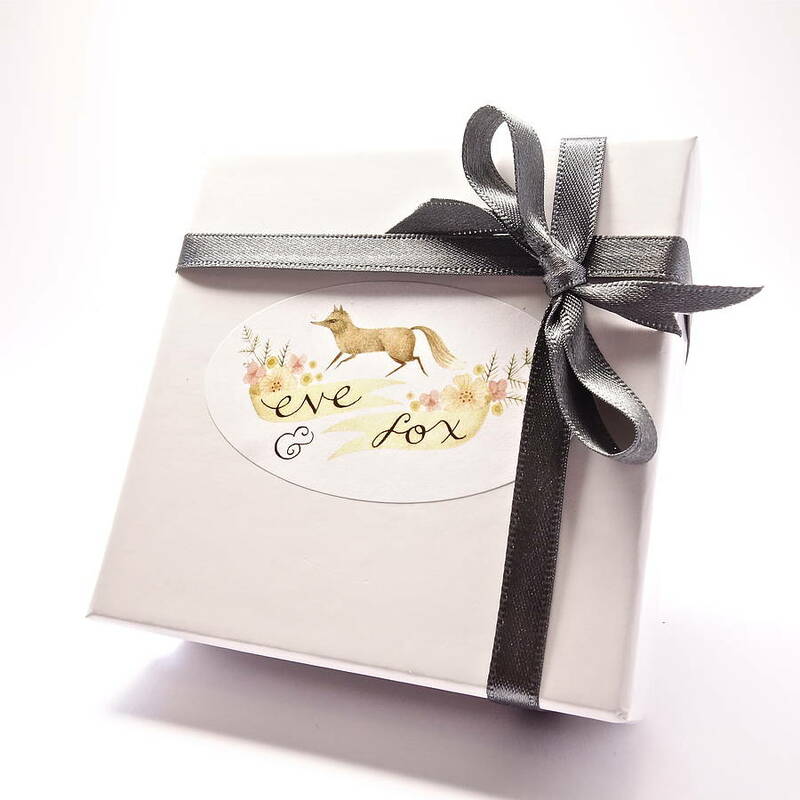 This product is dispatched to you by Eve&Fox.